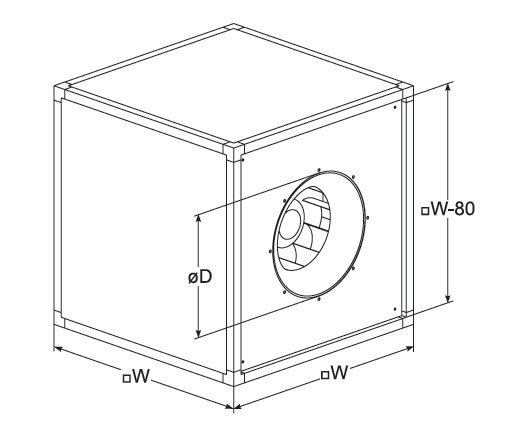 Acoustically insulated duct fans used for supplying or extracting air in ventilation and air conditioning systems. Mounted on round ducts. They can be installed in all positions. Not intended for use with contaminated air, aggressive or explosive gases. Compact with easy access to the rotor for cleaning through the opened cover. 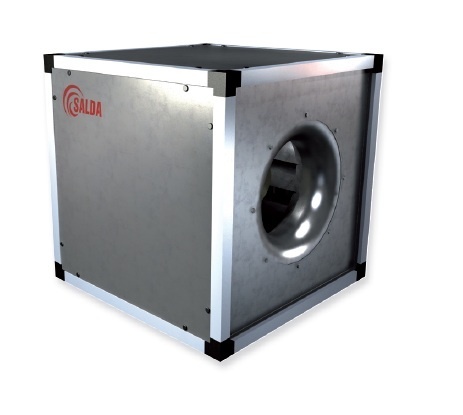 In addition, the insulated fan box reduces the noise level to the environment. Motor: with moving stator, direct drive with built-in thermal protection or lead-out contacts from windings and maintenance-free bearings. Housing: galvanized steel, with aluminum frame, 50mm aluminum-zinc insulation, with perforated inside plate to reduce noise level. Sound insulation: mineral wool, 25 mm thick. Low volume.